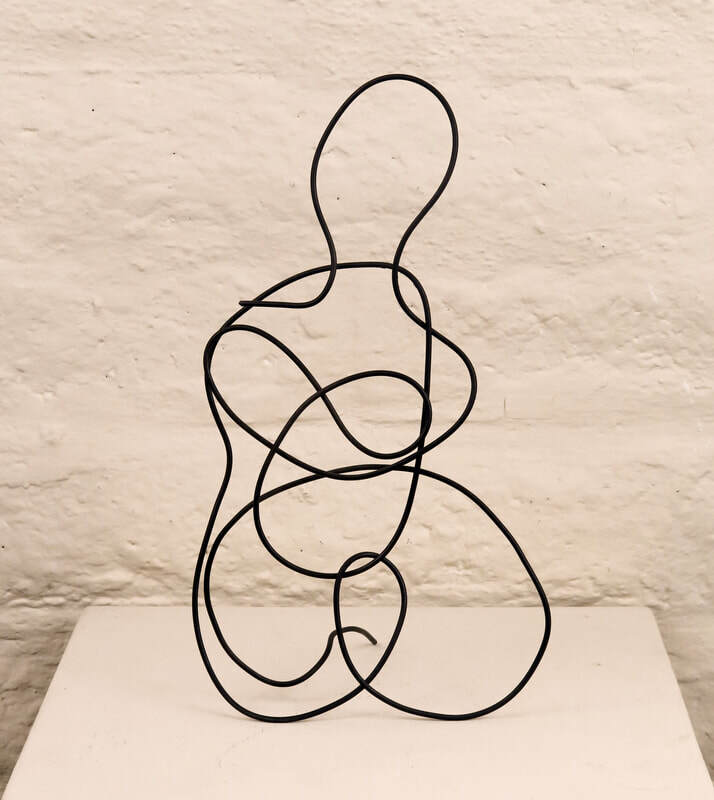 Smaller Wire Sculpture - BEN ALLANOFF SCULPTURE . Reflection. 2016. Galvanized steel wire. Pear. 2015. Steel wire. 15" tall. Feather. 2017. Kinetic (wind driven) sculpture. Steel wire. 14" tall. Three Pears. 2016. Painted steel. Largest is 29 "x 15"
Framed Abstraction. Steel. 16" x 20" 2015. Torso. 2015. Steel wire. 21" tall. Winged Foot. 2014. Wire. 24"
Winged Feet. 2014. Wire. 26"
Pear #2. 2014. Wire. 6"
New Moon, 2014. Galvanized wire, steel frame. 21" x 17"
Dancer. 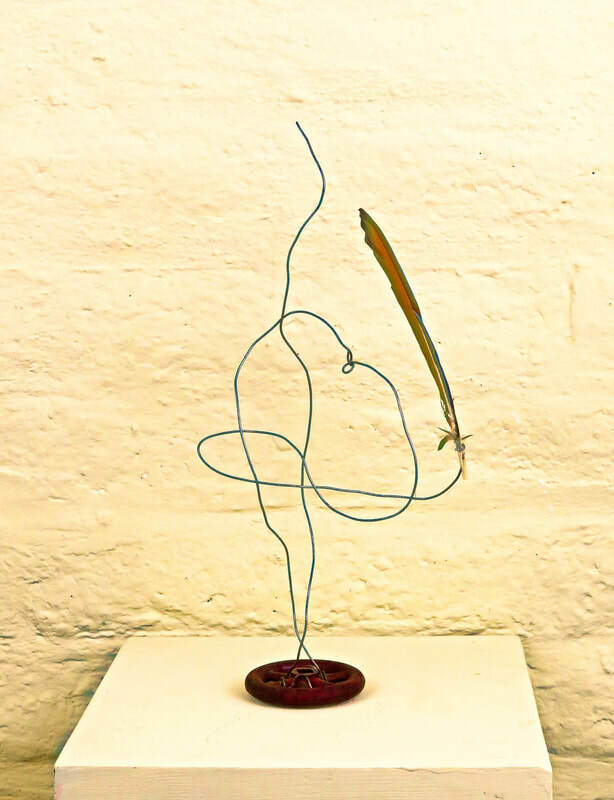 Wire on canvas. 8" x 8"
Birds. 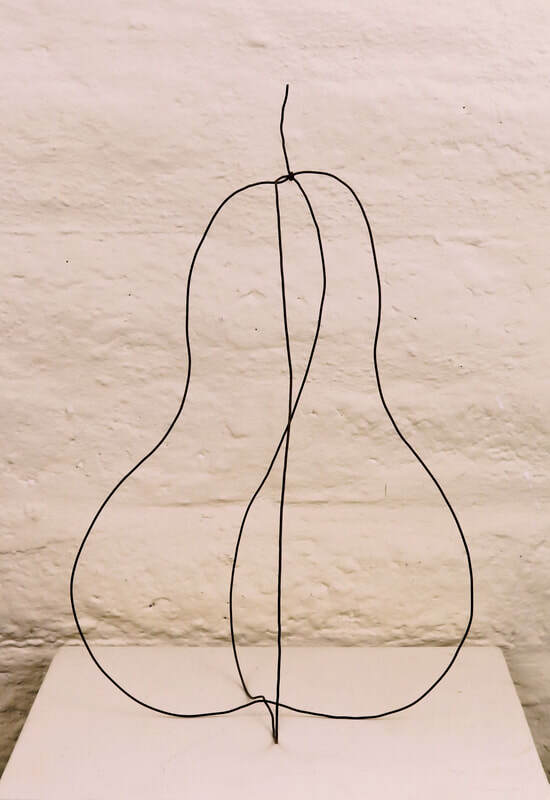 Wire on canvas. 8" x 8"
Same as prior. Alternate view.